What is Love Your Life? 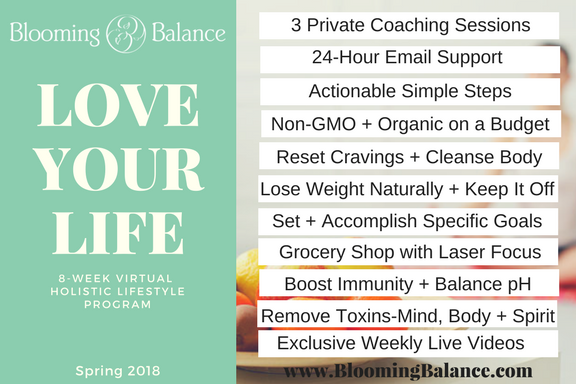 Love Your Life is an 8 week, interactive video-based training program that breaks down how to create a healthy lifestyle that flows with the ups-and-downs of today's "pretty healthy" busy bee in a simple and sustainable way. Whether you feel horrible but keep being told nothing is wrong, or have several diagnoses but don't want to be on medicine the rest of your life, Love Your Life will equip you feel confident in knowing the WHY behind taking these daily healthy steps and feeling more & more energized to keep going for the long-haul. The complete program is online centered around 2-3 videos per week that are shared with program members in a Closed Facebook group. This special group page is the safe haven of everything helpful - focal topics, tips, recipes, action steps, check-ins, worksheets, latest nutrition news, natural practices, relevant articles and infographics. It is our go-to place to confide in one another, help each other learn, motivate and celebrate along side each other, ask the questions others are thinking, connect about hot topics and homework, and BE REAL without being rude. Love Your Life also includes 3 one-on-one coaching sessions with Blanca to better fine-tune your program focus, work toward specific goals, and help with any private or more personal questions. *Dates and times set individually within week 1. This ensures each member takes consistent action and receives the best possible value from their investment. Who is this Program Perfect for? If you want to feel empowered to make healthier decisions with each bite you take, lose weight while eating real tasty food, and connect the dots between daily choices and your long-term health, then Love Your Life is for you. 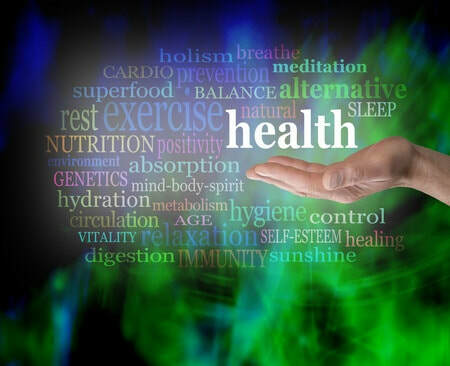 Wanting a quick fix or "health hack"
Looking for a "miracle pill"
Blanca's mission is to empower a community of health-conscious leaders with the nutritional education and natural tools to create a sustainable holistic lifestyle. The total investment for Love Your Life is $197.